Los Angeles, Feb 13 (IANS) Veteran actor Richard Gere has once again become a father at the age of 69 after his wife Alejandra Silva gave birth to a boy. 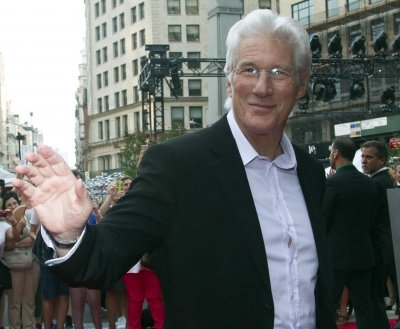 Gere and Silva, 35, were blessed with a son on Monday, reports cnn.com. This is the first child for the couple but they both have children from previous relationships. Gere has a 19-year-old son from his marriage to actress Carey Lowell and Silva has a son with her former husband Govind Friedland. Last year, Silva had shared the news of her pregnancy by posting a photograph of herself with Gere seeking blessings from Tibetan spiritual leader the Dalai Lama.